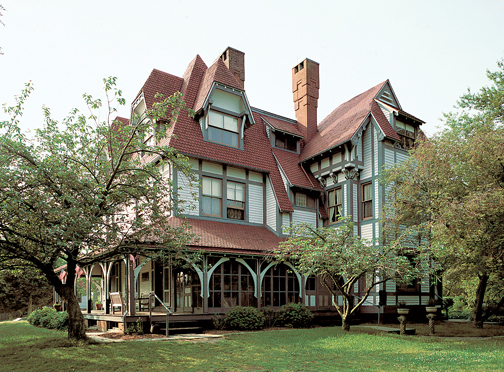 Beautiful Victorian, former home of Industrialist Edmund Day who was treasuer of the H.P. and E Day Company, Pres of Seymour Trust and Instrumental in Creating the Seymour Light Co. At one time one of the most prestigious homes in the Valley. Needs WORK! A unique homw with amazing Wood detail, Slate and brick siding 5 fireplaces, hardwood floors and beautiful staircases. Come by and take a look at this one of a kind historic Seymour home. Sent in from Michael G.
I wish there were more photos for this and more photos of the exterior. I just know this has some delightful features we aren’t being shown. I figured it was but I didn’t want to say without seeing a better view of the exterior. I wish someone with a better camera could go in and take some photos of the period details with this. 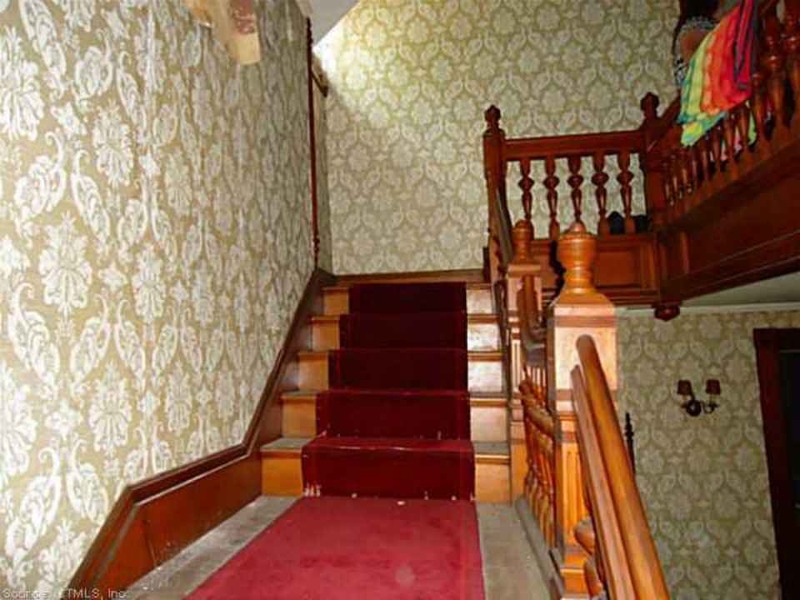 Wow- the stair case alone, but servant bells as well ? They were too chicken to show the kitchen, but the bat they do show is great. This house is major yummy. I like how the main stair takes one all the way to the attic level. Tragically, all the over-mantles are missing. Obviously kidnapped by a nefarious alien. Super cool house. But what an odd price! Sometimes (and I’ve done this myself) the Seller will pick an odd price to make potential Buyers think that a lot of research has been carefully conducted to arrive at that particular price. And, sometimes it is just a number pulled out of someone’s hiney. And sometimes when a price has a “99” or in this case a “92” at the end it also indicates price firmness and little room provided for price negotiation. Listing prices rounded off to the nearest thousand or better, ten thousand, usually have room for price negotiation. better still are those that state: “bring us offers!”. A reverse psychology is sometimes employed in very high demand markets where a deliberately slightly lower listing price is posted to ignite a bidding war that sometimes ends up selling for far above the listing amount-but its a risky strategy and only seems to work where demand is high and neighborhood comps are higher as well. An old retail trick is pricing something at, say, $9.99. It is thought that this seems lower than a more straight-forward $10. Same with this house. $299K seems cheaper than a more scary $300K. The 92 at the end? It might just be that somebody hit the wrong digit on their keyboard. And sometimes it’s just a number. Real estate, all real estate, historic or newly built is all about what its true market value is. 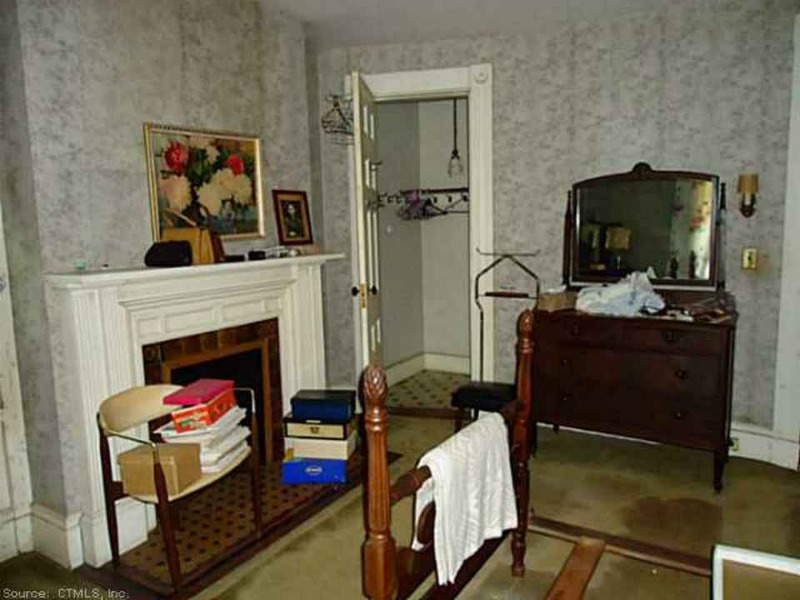 Not what a Seller hopes to receive or a Realtor recommends. 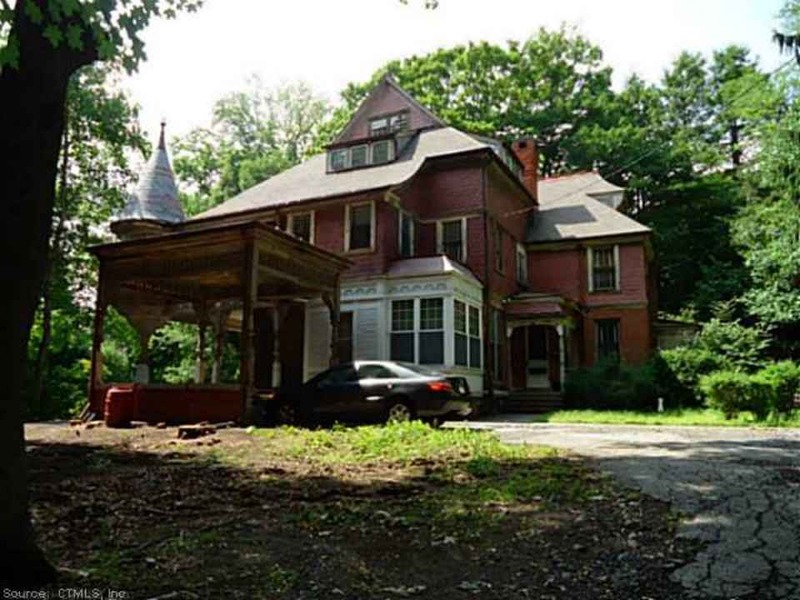 A historic house that may be someone’s dream home may be abhorred by a purist. In the end, a historic home much like a Faberge’ Egg, no matter how finely crafted, is only worth what a buyer will ultimately pay for it. Gorgeous!! 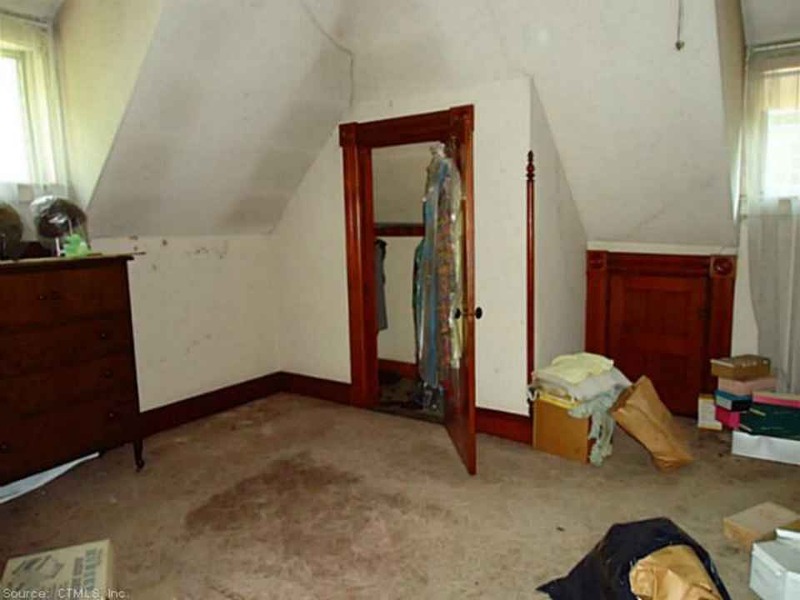 This home had mega potential! The wood work is so beautiful!! I WANNA MOVE ! ! ! this place is a project, BUT OMG What a fun one ! ! Which pic has the bat in it? A pleasant enough, zero crime area 10 miles from New Haven. For this price you can’t come close to a new house of half the size on half the lot, so this might be a good deal if you don’t have to rebuild the place. The area would easily support $5-600K and there’s a lot of excellent stuff to work with. The aerial view helps explains why the price seems low. The lot is large, and with plenty of trees. Yea! However, it looks like the corner of the lot was sold off at some point (1960s?) and two apartment blocks built. There are enough trees so that the apartments may be screened from the house. Still, this would certainly impact the price. NYC is an hour and a half drive away. Or, one could take a train from the city right to Grand Central Terminal. Way cool. The astonishing thing is that the same price will buy you a so-so studio apartment in NYC. For me, I would spend the week in this grand expansive gorgeous luscious house, and every weekend in my studio apartment in NYC. The best of two worlds. John, the tower might seem oddly placed because the only exterior photo is from the side of the house. Maybe the realtor didn’t want to get his shoes dirty on the front lawn. I couldn’t find another photo to really see what the place looks like. Ross, did you see the large carriage house subdivided off and converted to apartments behind the house? I suppose we should be happy the whole thing wasn’t bulldozed for a few more units. Awesome staircase! I also am wowed by the servants bell panel. Downtown Abby show always features that in the intro. Pretty cool insight into a lost period of living. Has anyone else noticed the triple stained glass windows in the bathroom picture? Do you think that this triple window is the backside of the staircase landing window? I think you are correct, Timothy. I had wondered why in images 6/7 the triple window was dark, but the double window adjacent was bright from daylight. I think that’s actually a forward thinking feature. When someone uses the bathroom with the light on, everyone downstairs will see the stained glass light up to say “In Use” just like on an airplane. …and the shadow outline of the person sitting down. Jonas, the old owner had allowed me over to take pictures. I LOVE this house since i was a child. 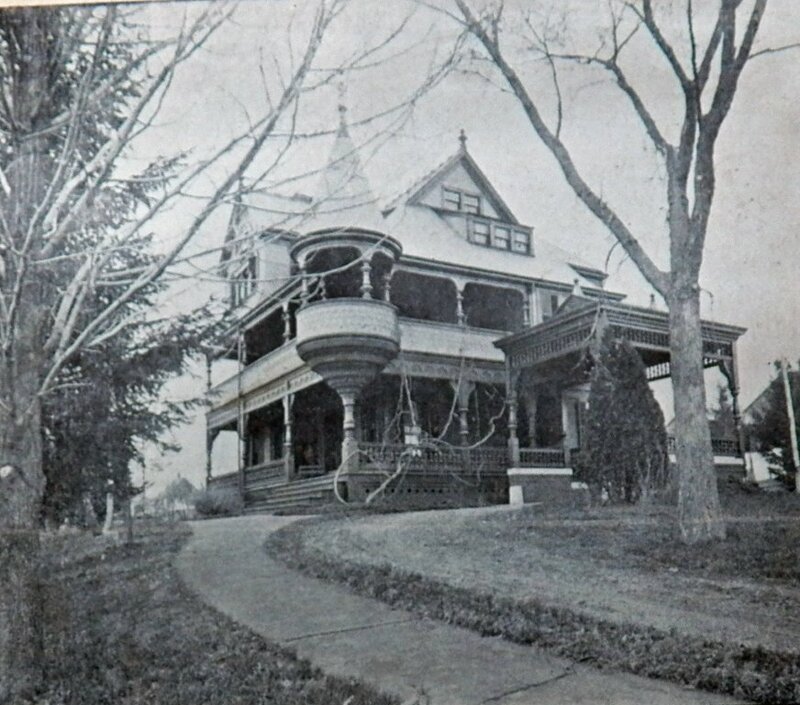 I have an old black and white photo of it and its pretty much the same except the front porch had heavy railing and the trim was painted dark. It also appears the sunroom that’s near the carraige port painted all white with modern windows was a glass concervatory. I can’t wait to see the interior of this house. I’m going to go to the house and take pictures tomorrow. I don’t have a flickr but if you want I can scan the image in and email it to you? If you’d like, you can email to me kelly@oldhousedreams.com and I’ll add to the page. I sent them to your email under my work email address. Reply when you get them. Unfortunately I have to inform you that this house was purchased by the apartment complex, and they have motivations to tear it down. I know this because we had a verbal contract to buy the property, had the contract sent in signed, with check included and there was a last-minute cash offer which was the apartment complex. 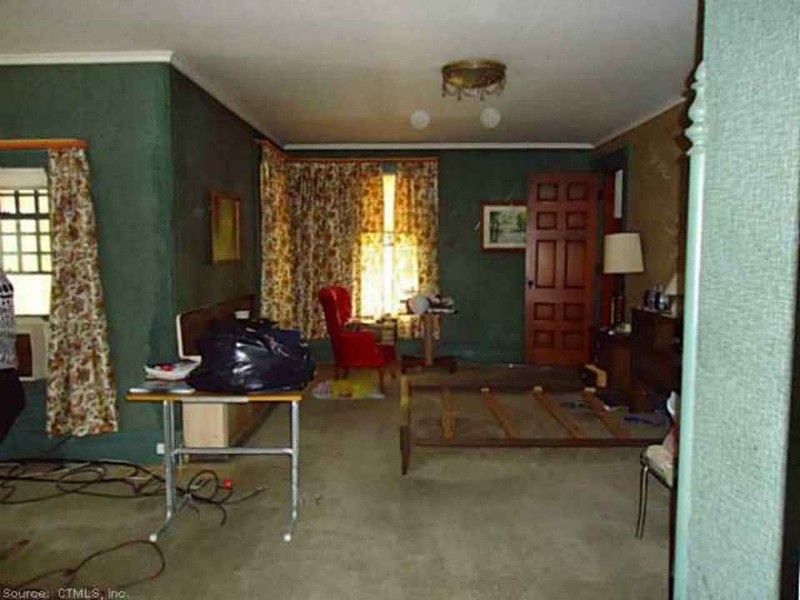 We feel the owner’s real estate agent Bill Sadick was stringing us along waiting for this to happen which it did. 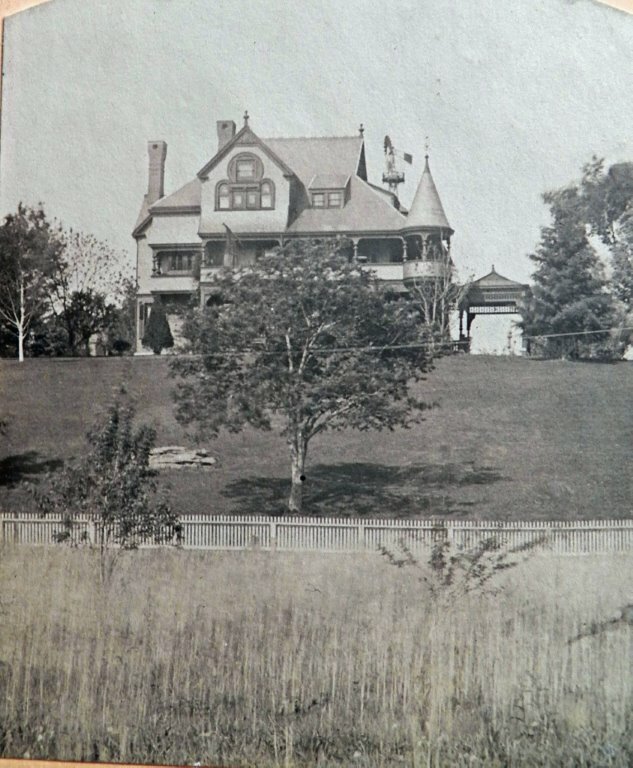 Aside from the fact we lost this beautiful house that we planned to restore to its original glory, this is even more devastating because they will be tearing it down for more apartments, losing this treasured masterpiece. We are sickened over this but nothing we can really do. Wow, this is terrible news!! Laura & Steve, As the saying goes: it’s not over until its over. I suspect the apartment complex or more accurately, their owners, will seek to bring the structure down at the earliest possible time to avoid facing any resistance from the preservation community. Is there any kind of local historical/preservation organization? Assuming there are any local historic districts (but this in is not in one) someone had to apply for the district nomination-find out who they are and tell them what’s going on. Contact local media and have them put out the word about the pending demolition. 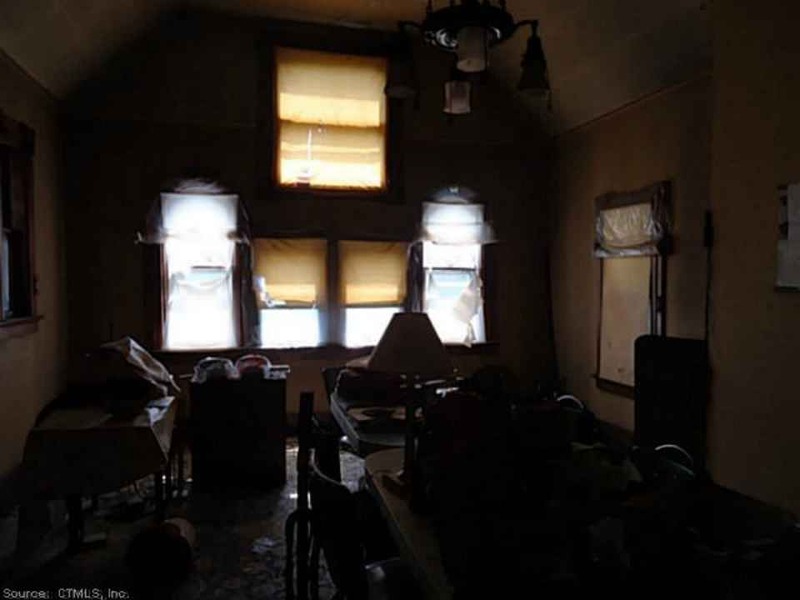 Usually, extremely deteriorated structures are lost causes but that is not the case here. Contact the state historic preservation office: http://www.ct.gov/cct/cwp/view.asp?a=3948&q=293806 and tell them what is happening; contact the CT Trust for historic preservation: http://cttrust.org/ and make them aware of what is happening. I can’t guaranty you’ll be successful, but this is a major architectural masterpiece built for a prominent local historical figure and the sale or at least the demolition might be blocked. (please don’t forget the movie Batteries Not Included where developers showed other ways of getting their way-“accidental fires”,etc.) Again, time is of the essence and use every means at your disposal to get the word out including social media-you can make a “Save the Day House” FB page and A Twitter page. Often demolitions are inevitable when the historic structure is badly deteriored. (or “mysteriously” burned) so you must act quickly to save the house. Indeed, this is terrible news. 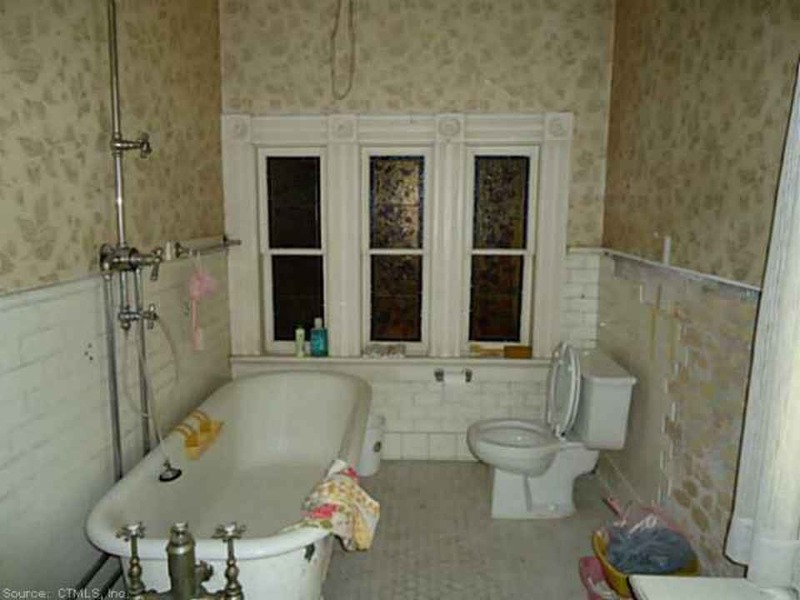 I think I might get physically ill when I see the rare Belcher Mosaic Stained glass windows in this house on e-Bay. The Day House is in the National Treasure category-locals who care about their heritage really should try to save it. I wish you the best! Thank you, John, for all the information. We have sent many emails. We are living in Tennessee now so we are not local. We were planning on relocating and moving into that house. We haven’t heard back from anyone yet though. We just emailed your suggestions so hopefully something can be done. This house is a mansion. A jewell. A treasure. 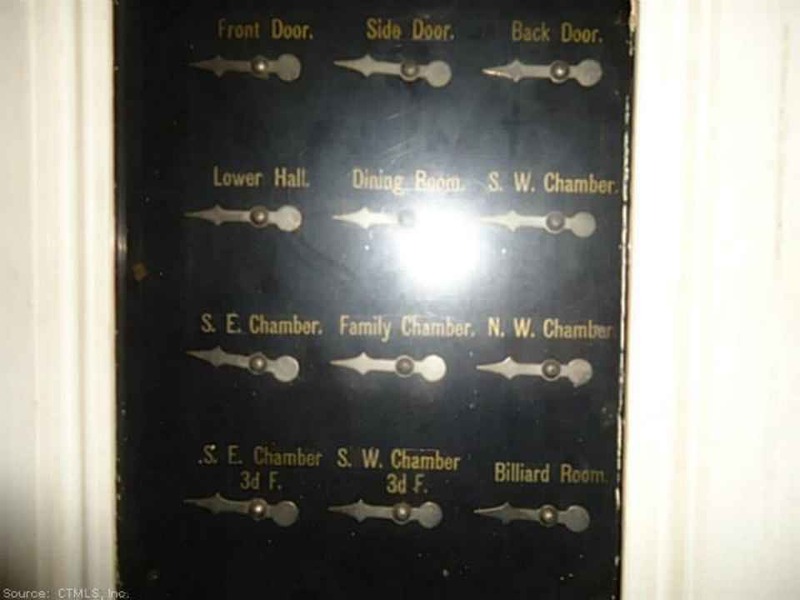 The old servants call bell system in the house still work in some of the rooms. I’m sick over this! ! ! Hi Laura & Steve, Thanks for clarifying you were not local in CT. I would think surrounding citizens would be outraged over the pending demise of this great Victorian Age residence but then again, Cincinnati lost its landmark James Gamble house (c. 1876, he of Proctor and Gamble fame) about a year ago. The only conclusion I can reach is that Americans have little appreciation for their heritage and are more interesting in what is happening with the lives of celebrities than in something from over a century ago. If I had the time, I’d try to alert local resources about the impending doom of this place while there still might be a slim chance to save it. 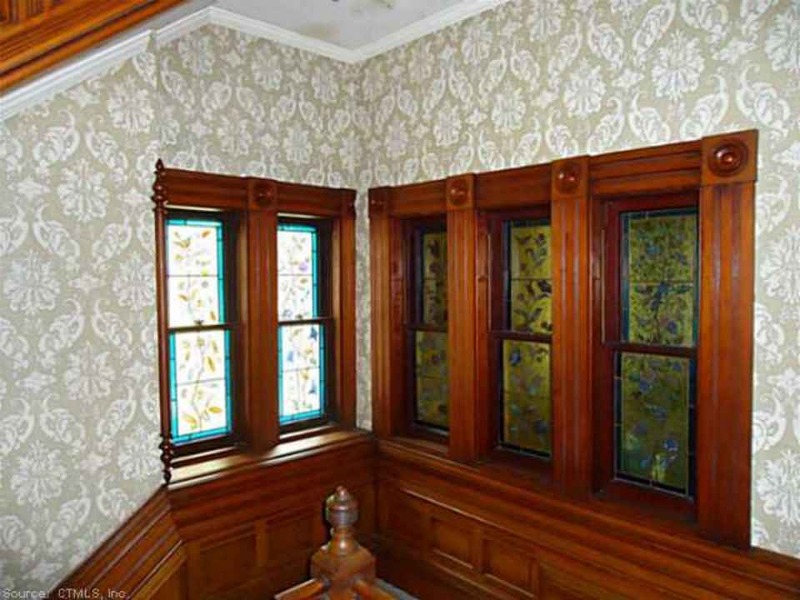 I happened to find an 1886 Belcher Mosaic Stained Glass Company Catalog on Internet Archive: https://archive.org/details/catalog00belc and I’m almost certain the windows in this house are by that firm. As noted, when they rarely come to market they command premium prices. But they are but a few of the treasures this house has. I’ll keep wishing for a more positive outcome and hope you folks can somehow end up being the next owners. We feel the same way you do. Before you know it, all history will fade away from people’s memories and there will be no physical remnants left. It is a shame. Not a single historic or preservation commission has gotten back to us. But my husband did get a call from a New Haven newspaper wanting to interview him for a possible story on this. So we will see where that leads. 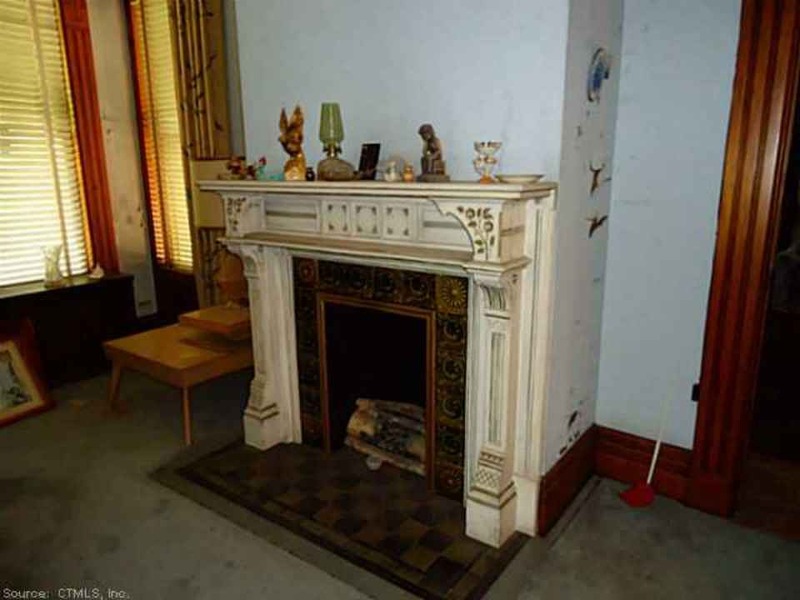 We are still looking in cities to find a special Victorian to call home but that one will always have a piece of heart. This is really a shame and could be a great loss to the community. 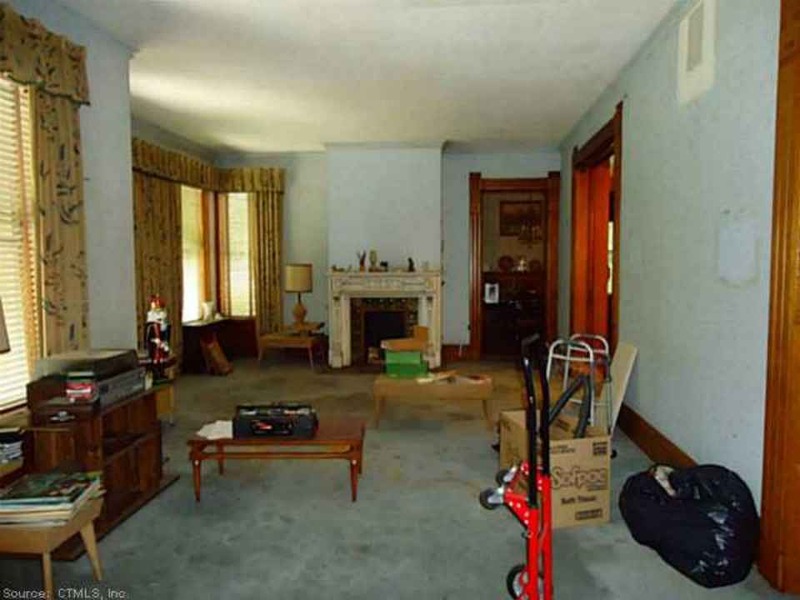 Unfortunately, the situation was predictable given the history of the property and the town’s lack of concern for the house. The owner subdivided the property with the carriage house knowing well the eventual use, and the apartments were sited away from the house to provide some buffer. The town zoned the property with apartments as a permissible use and that hasn’t change for years, despite regular reviews of the zoning code. Knowing that well, all subsequent owners have failed to register the house as a landmark, and now the owner has accepted a better offer rather than participate in preserving the house. Lots of blame to go around here. Thank you Michael for sending in two old photos of the place. Not a problem. I”ve been obsessed with this building since i was a child. I was considering buying it myself if the price was lower. The picture with the windmill i beleive was date 1879 i think.. it was from a stereocope view. Can you beleive that windmill? As you can see, the house changed very little. The trim work was originally a dark color, and the carraige port had more of a roof on it. There is also a photo i didn’t give you because i can’t find it in the seymour book. You can see there was a conservatory off the back. Wow. The old images are great!!!! Also, I simply do not understand this tragic story. The area is hardly high density, so is there really a pressing need for more apartments? Moreover, even IF there is a vital need for more apartments, paying $300K for the land seems very high. And, while I would not normally advocate for such a thing, a lot of gorgeous old homes have been successfully converted into apartments. Indeed, my own house was (since returned to single family). And there is enough land to add more structures without destroying this fine old house. Only a person with ZERO imagination would think that this house needs to be destroyed in order to increase density. 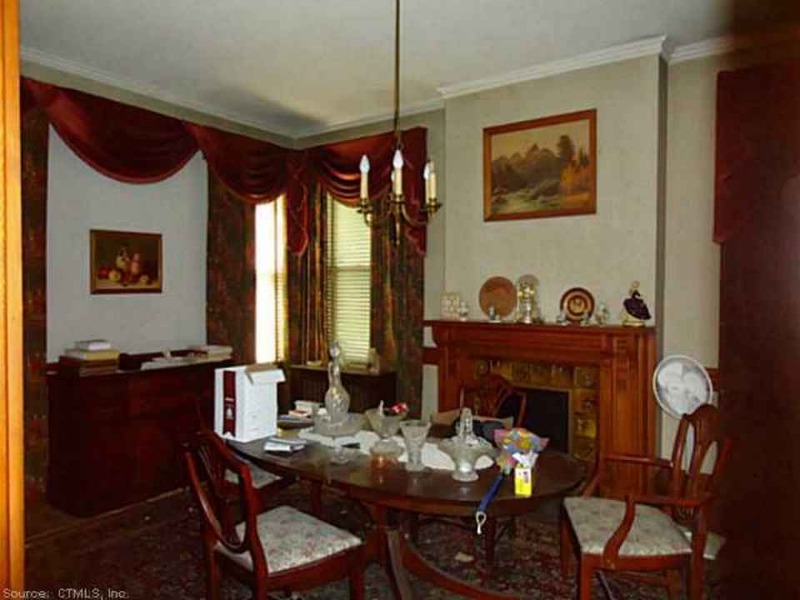 Is the new owner stuck in a 1950s time-warp? Just seeing this. Sickened….. Hope they’re at least smart enough to part the place out. There are some superb decorative details here. This town is NUTZ to let this happen. This home is very special. UCH…………..
A couple of the people we contacted got back to us but did not seem invested in this or motivated to look into it. It is very sad because we were very motivated to return it to its original glory. Seeing the old pictures … it is very sad. 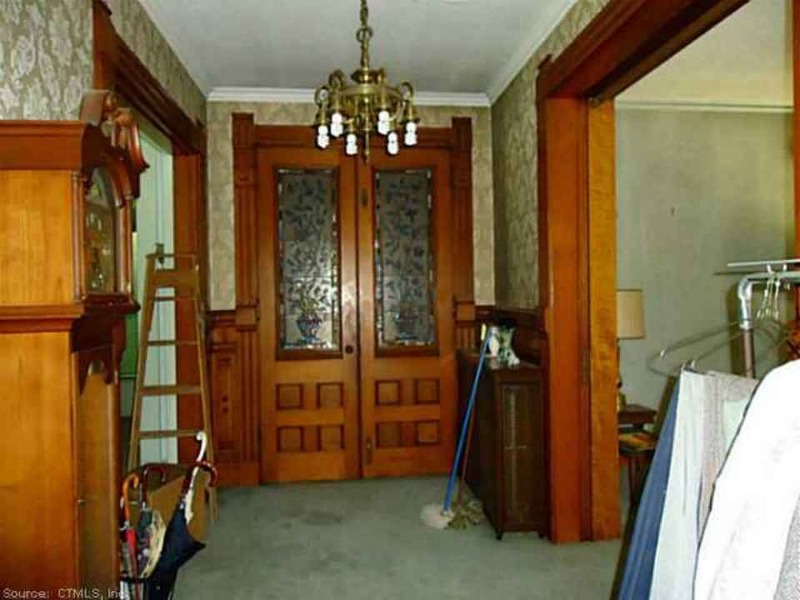 However, we kept looking after this happened and have found an 1887 Victorian house in Windsor Locks that we fell in love with on two acres and in the process of purchasing it and will be restoring it as well. We will be documenting it and will share as the process continues. Is this the beauty you are buying? I think you will be happier here in this spot i think than the seymour location. 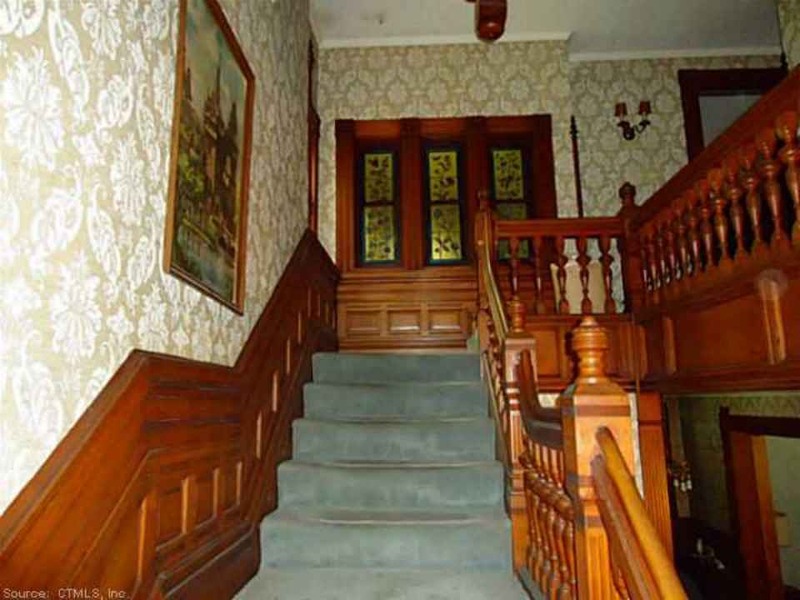 Though the seymour has was a prize, This house has a nice location and awesome details. You are very lucky! Congratulations. Thanks, Mike G! I’m happy with our decision. It’s a beautiful house in a cute neighborhood but still has the land as well which is rare. We are going to have gardens with hardscaping that will be reminiscent of the Victorian era as well. We are excited to take on this project which will be a first for us while enjoyed the food and culture of the region. Congratulations, the Windsor Locks place looks far more do-able and has its own unique charm. I still question the sanity of people who needlessly destroy architectural gems like the Seymour example but it seems only in hindsight does the public wake up to what has been lost. I hope these new apartments are priced at least for $20,000,000 apiece and have the finest imported details brought in from the far corners of the earth as well as being installed by the highest skilled old world artisans we have today; only then could this senseless loss begin to make any sense. I’ll never bother to visit Seymour in my travels because I shudder to envision what kind of unsophisticated, short-sighted people would do this to an historic architectural landmark. Because so many Ivy League institutions are in the region, I’d always thought New Englanders were intelligent, cultured, and well-educated people, now I seriously question the validity of that belief. Sorry, that’s just the way I feel…enough said. Property records show the property was sold 9/30/2014 for $315,000. I hesitate to say the owners name but when I was searching to see if they owned the apartments next door, it has the business name rather than a persons for the apartments so hard to tell (the owner address for both is different too.) Perhaps the apartment owners didn’t buy this property? I certainly hope the new owners bought with intentions to restore rather than destroy. It is always sad to lose out on a property that you had your heart set on, but it isn’t right to make up a story about the apartment complex purchasing it for a tear down. Utter conjecture. I was wondering myself what was gonna happen. I tried to contact the new owners but with no luck. Do you know anything Rocky? This home was purchased by a private individual who has every intention of restoring it, and further..has the means to do so. That is incredible news! Thank you for letting us know. THANKS ROCKY! This house was a dream of mine since i was a kid. (even in its dilapidated state) I contacted the owner by mail and asked if they were going to gut or demolish that I was interested in purchasing or salvaging everything. But this is great news you give. 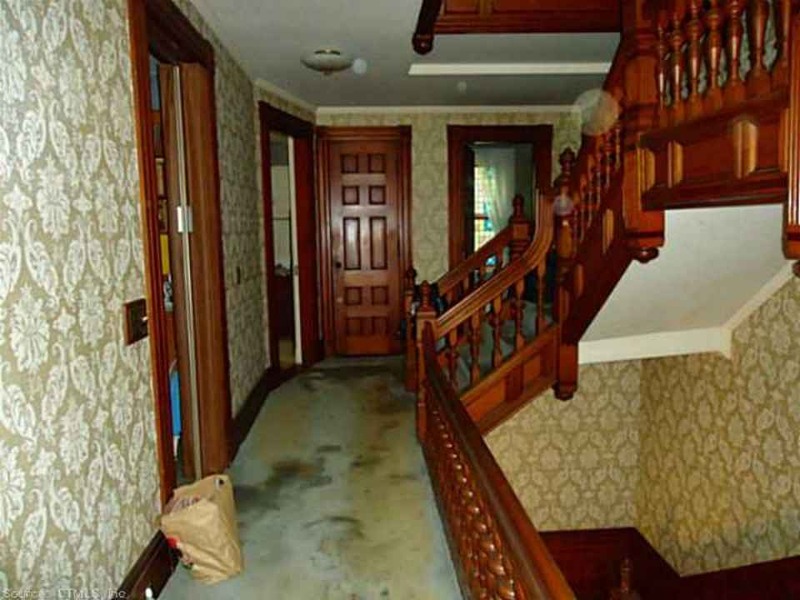 Agreed, this house is just too nice to be considered for a tear-down. My best wishes for the new owner and my sincere thanks for preserving this landmark quality residence.